Huge discounts upto 80% is being offered by ‘App Santa’ for Christmas. A team of developers belonging to some of the renowned iOs and Mac apps got brain stormed and has brought shocking discounts on their genre as a significant part for the promotion of App Santa. App Santa has brought in apps like Tweetbot, Screens, Launch Center Pro, Star Walk, and several others in huge discounts. You can now buy these apps on a sale of upto 50% to 80%. This Christmas will be a new era for the great mass of buyers to buy apps instead of other stuffs. Here, are some of the apps that are available for sale. Tweetbot – It is one of the best twitter app that one can avail. The update that this app provide will never let you down. It is capable of 3D touch. The filters available are very catchy and this is not very complicated to use. You won’t be at loss after buying it. The price has been cut down to $4.99 from $9.99. Rando Emoji – It is very interesting and adds life to iMessages. It delivers the write kind of emotions that you want to convey. A new way of emojis. You can now buy this interesting app at $0.99 from $1.99. Drafts 4 – It is one of the useful apps included in the sale which you should definitely add in your wishlist. It makes your work much easier. It is now available at $2.99 from $4.99. You can now note down anything that comes in your mind and look after it later. It is a system that quickly intakes all the texts and messages. The most feasible way to capture your ideas in a go. Deliveries – This app takes care of all the deliveries that you are longing for. With the help of this you can track all the proceedings of your deliveries. It will keep you updated in terms of your packages and will give a reminder when the item is actually to reach your door. It is a very useful app which can be brought in at a very cheap rate. The price has been cut down $3.99 from $4.99,it also reduces your anxiety in terms of your deliveries that are yet to be made. Check out what is new about apple. It is Apple News Publisher. It is specially create for publishers; for those who are interested in making their contents or news more live for their readers. This app was announced at Apple’s Worldwide Developers Conference. Then it was launched on Sep, 16, 2015 with ios 9 for all kind of iphones, ipod touch, ipads. So well when we look at the app uses, firstly this app allows the publishers to add animations, Stylish Layouts, Attractive typography. Moreover you can also add photo Galleries, Videos to your content or post or news. With all these new facilities you can bring your contents to life. This also gives your readers a new experience of reading. This may also help you to get more visitors to your website or channel. It won’t matter even if your visitors or readers use any device other than apple also gives them great experience of reading. Moreover Apple gives you many advertising opportunities. Even in this app you get the same advertising platform. As usual it helps you to earn revenue from those contents or post or news that you publish. Apple provides you Campaign management, Targeting, Creative and reporting capacities that helps you to drive your business to upper level. Apple give you a deal where you can have the 100% revenue from the ads which you sell by your own or only 70% of the revenue from the ads that apple sells in behalf of you. But to become a publisher you must be in US, UK or Australia. Once you become a publisher all the content or news or post become a part of Apple News Publisher. And the content is also optimized for all ios users automatically. Firstly, you must sign-in icloud account using your Apple ID. Then to continue you will need to accept the end user license agreement. Just then you will find a page where you can upload a Logo for your channel. You logo must be in PNG format and also it must be 256 pixel square minimum. And also the file limit is only 2 MB. So till now you have completed your channel registration. Also once you have completed submitting your logo and your details Apple will review it. And if it doesn’t satisfy their requirements they will reject your application. So be careful will you upload your details and Logo. If your account is accepted by Apple then you will need to choose the method of publishing that you prefer or like. Yes, there are two methods of publishing your post or content or news. 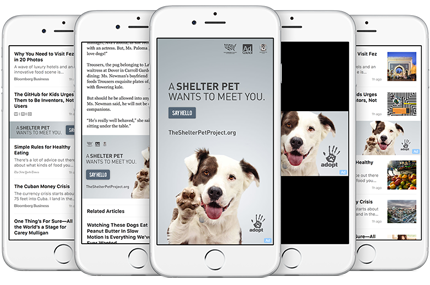 Apple News Format – This will optimize your content according to ios devices. This will add animation, stylish layout, etc. Apple after its launch of the new iphone 7 and iphone 7 plus has been planning about making the next iphone 8 to be a remarkable phone. There has been many rumors about the new upcoming phone but one of the specific rumor is that it might have curved display. Nowadays it has become a common phenomena for phones to have curved display, now will the iphone 8 feature an curved display. Usually what I like about Apple is that build quality as well as the user friendly interface. Apples screen quality is really satisfying and when compared to the previous launch iphone 7 the display is good and its design some or what resembles the iphone 6 or 6s models. If Apple wants to install new curved displays on its upcoming phone it must be in such a way that its design should be pocket friendly and light weighted so that it can be easily carried around. If Apple doesn’t make the design according to the display then it might damage the display. 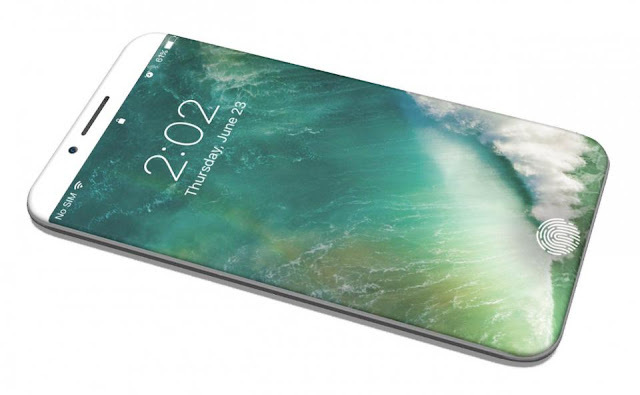 The new iphone 8 will feature an awesome stunning display which is curved by the way and this might be built by Samsung for Apple. Some rumors says that this display might be made up of plastic and not of glass to make the design look great and to prevent the glass from damaging. The curved display screen will be made up of Organic Light Emitted Diodes which in short known as OLED screen this screen will help the users to create an good display quality and it is very light and thinner compared to the other screens which will use less battery and gives us a good battery life. If the display is curved it must be so sensitive and must respond quickly when it is touched so the rumors also suggests that the phone will feature sensitive sensors which will help the phone to respond to when an user touches any side of the display. An old rumor was that an expensive model of iphone 8 will only feature an OLED display and if this curved display rumor turns out to be true then that previous rumors will turned out to be fake. Some people claim that Apple is making an 5.5 inch model which turns out to be an premium version with an OLED screen and other models with an traditional old LCD displays . So Far, apples intentions and decisions have not been made clear and announced publicly and many people are having high expectations on the new iphone 8. Samsung Display Company is an unit of Samsung electronics which has been producing quality display for many Smartphone companies and has a best quality of display production. Samsung has been producing and supplying many tech components and memory chips for Apple. One of the rumor was that Apple suppliers have asked Samsung to increase the quantity of screens and to produce thin OLED displays for Apple. If Apple is going to install new curved display for its upcoming iphone 8 then this might become am hit for Apple. So if you accidentally deleted your files and some important data. Or even you have lost pictures of a very memorable trip or the videos of your loved one because someone just accidentally deleted it or due to some kind of virus attack. And you are regretting that you have mistakenly deleted those memories. Now you don't have to regret as I am sharing the method to get your pictures, important file or any kind of video back. Since most of our users are always connected to the internet there is a high risk of malware attack and you can lose your data during that. So with the EaseUS data recovery wizard free, you can recover your data back safely. EaseUS data recovery wizard free is a very good free data recovery software available in the market through which you can recover any kind of data including music, pictures, documents, videos, emails and another kind of any data that is lost during the partition or permanently deleted from your hard disk. So the good part about this software is that you don't need to be a computer nerd to learn this software. It is a very simple and basic software even the novice software user can handle this software with no difficulty. The interface of this software is very user-friendly and the features of this software are self-explanatory. You can recover all kind of data from hard drives, USB drives, and memory card and even from your phone through this software. This means that you can retrieve your lost data from any kind of devices. Now I think I have told you enough about the background of this software. Let’s just take you to that part in which you can learn about how you can recover your data. Step1 . Launch EaseUS Data recovery wizard free and select the specific file type you wanted to recover. Step 2 .Select the disk in which data loss problem has occurred. Afterward, you have to hit the scan button and it will automatically start scanning. Once the process is finished you can have your data back. I tried to cover all the aspects that are essential you know about this software and how to use this data recovery software. Apple devices and operating system isn’t full proof against spams which is usually believed by millions of people worldwide. Like Android its products and software doesn’t get huge amount of spam or being plagued by it to a great extent but when some spam makes its way into the Apple ecosystem it leaves users baffled. In similar fashion a number of iCloud users were left baffled by the surge of spam in Calendar application. 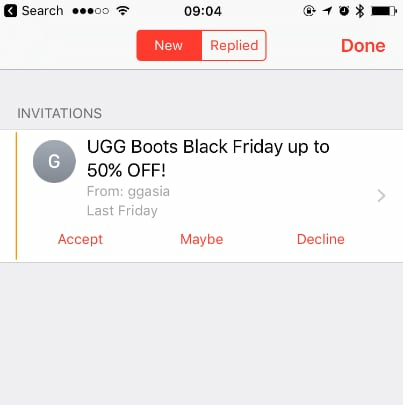 These spam emails offered users cheap Ray-Bans Ugg Boots or Pandora Bracelets which were laced in the calendar invitation which makes them more irritating. Apple’s operating system for Macbook series and iPhone and iPads are different yet alike. iOS and Mac Os works in the similar fashion as they scan the email inbox to check out the calendar invitation in order to make it easier for users to find it. When such mails are forwarded to the users then it pops up as a notification right on the phone or tablet. Apple has seen a sudden spike in spam calendar notification in the recent past. It might be linked with the Black Friday or other recent data breaches wherein users have been able to steal millionsof email addresses. Therefore it has become a necessity to get rid of spam calendar at the earliest. The major issue with iCloud invitation is that it can sent by anyone from loved one, colleagues to spammer with that particular email address. It does possess some good spam filters but it doesn’t result in complete control. If you wish do away with the notions then it has to be turned off or you can indulge in sifting through it in your leisure time. There is a smart way of marking calendar invitations as spam in the iCloud using these steps. Then select ‘report junk’ option. In order to shut the notifications in iCloud follow these steps. Press upon the cog button present at the bottom left corner of the screen and then move to the ‘Advanced’. This will allow you to receive the calendar invites as emails. Go to the calendar app and create a new calendar. Go to the Edit option right at the top left corner and click on Add Calendar. Name it junk or spam as per your likeness. Now select the spam event and move it right to the new calendar. Simply delete the new calendar and you will get rid of the spam at once. In order to stop others from sending you spam sharing notification simply go to the Settings followed by Photos and turn off the iCloud Photo Sharing.